A clear path to wealth and abundance in just 30 minutes a day! In today's economy, it's more important than ever to get clear about your personal and professional goals- and to commit to a plan that will get you there. 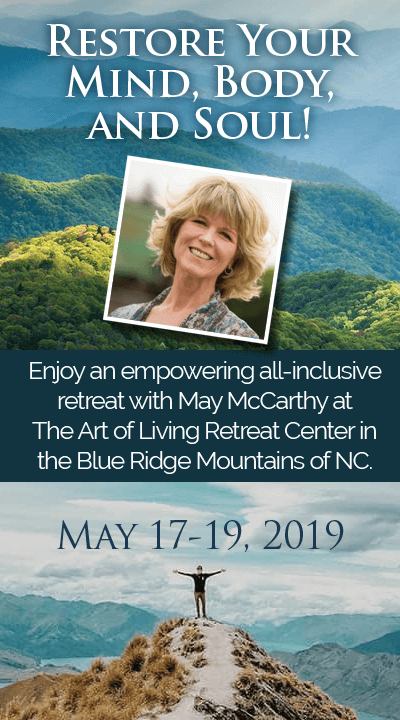 In The Path to Wealth: Seven Spiritual Steps for Financial Abundance, multimillionaire entrepreneur and angel investor May McCarthy shares her own daily practice to help you do just that. The first step on this journey is to welcome a new member to your financial advisory team: the all-knowing power of the universe that McCarthy affectionately calls the Chief Spiritual Officer, or CSO for short. In part one of the book, you'll learn how to set up and activate the seven-step daily practice. You'll learn the job descriptions for both yourself and your new partner, and you'll see that when these steps are applied on a daily basis, you will experience a complete shift in your thinking about how financial wealth and abundance are created. In part two, you'll go deeper into the practice to gain insight about your purpose, learn how to successfully navigate financial ups and downs, and overcome the fear of failure as well as eliminate old beliefs and behaviors that have kept you from experiencing the success you really want. Best of all, the steps outlined in this book will teach you how to develop your own financial intuition, which is key to noticing and pursuing the opportunities that will present themselves once you are on this path. Learn more about the benefits of using The Gratitude Formula to create the life you love in this online workshop! This 3 hour class can be taken at your pace, includes a 30-page workbook, and is only $20 for lifetime access. Don’t delay in learning to use Gratitude as a tool for success!